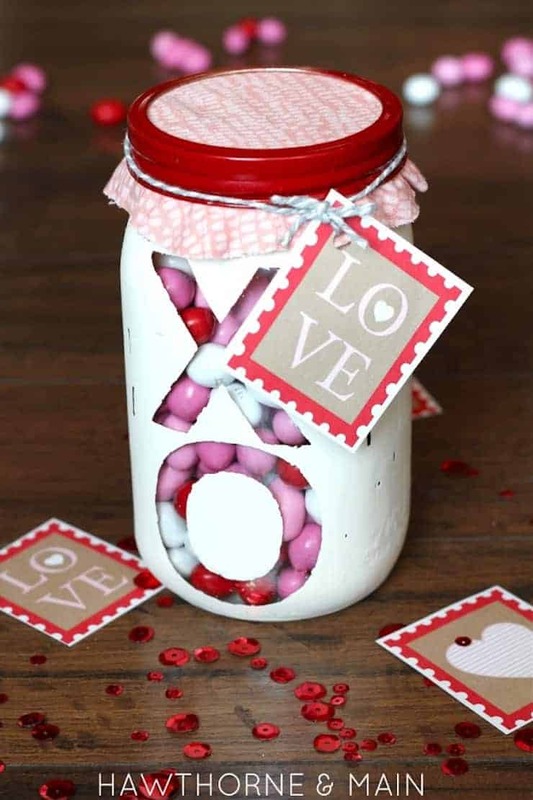 This Valentine’s Day Mason Jar filled with Valentine’s Candy is an easy DIY project and a special gift for those special people in your life. 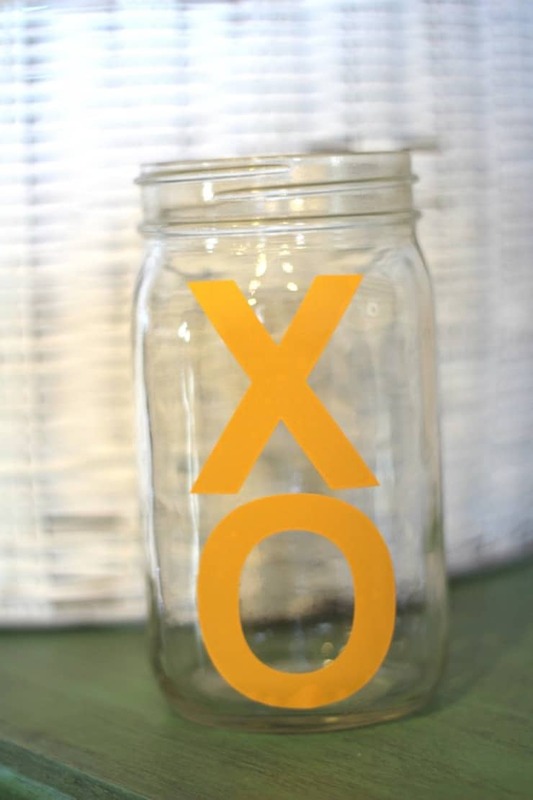 Valentine’s Day is right around the corner and this homemade mason jar filled with candy means so much more than a box of candy bought at Target or a card bought Hallmark that someone else wrote! Your kids will be delighted to see this waiting for them when they wake up on Valentine’s Day morning! 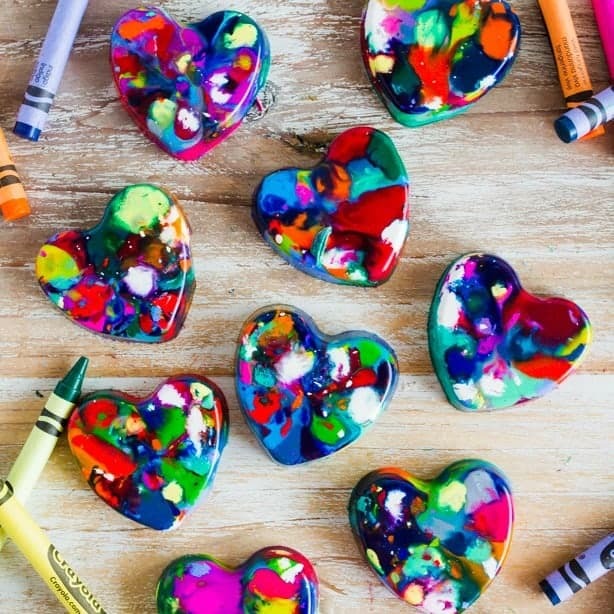 If you are looking for an easy DIY craft to make with the kids, take a look at our Valentine’s Day Heart Crayons. 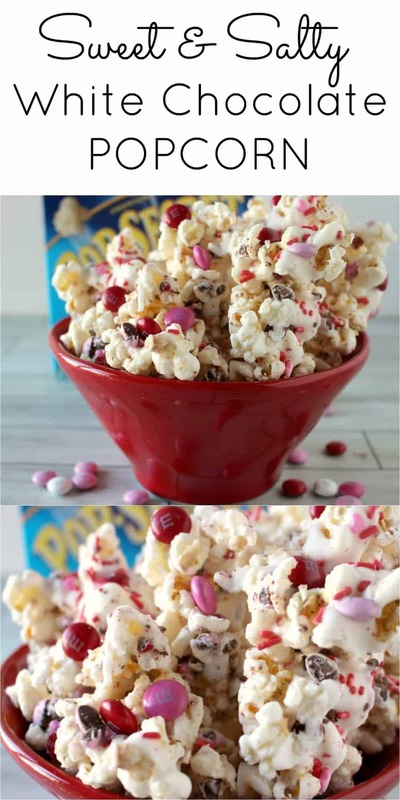 These are great alternatives for a non-candy Valentine’s class gift! Take a trip to the craft store and pick up just a few key materials (and some red, white and pink candy of course) and you will be all set to make your See Through DIY Mason Jar! But wait, we have something to top it off for you! 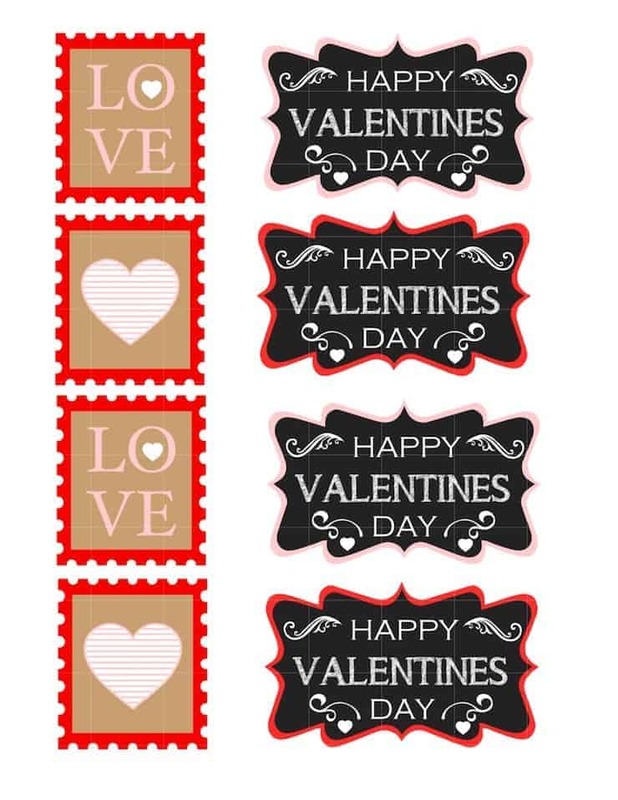 We have a free printable gift tag, that will top off your gift and give it that extra special Valentine’s love (and all you have to do is print it off! Hello Princess Pinky Girl readers! It is great to be here today! It’s Shonee from Hawthorne and Main here to share with you a simple Valentine’s day gift idea. 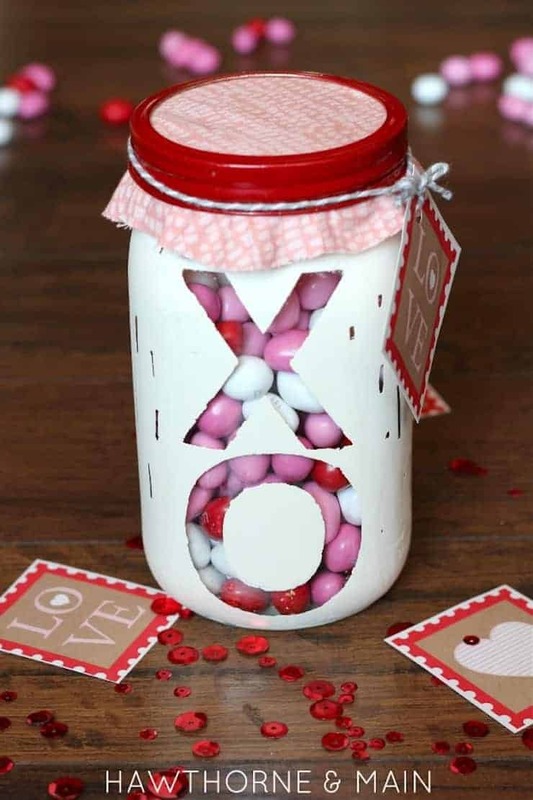 Valentine’s Mason Jar Craft filled with candy. I even made you a free printable gift tag to top it off! This one is super cute and super easy!! We love Valentine’s Day at Princess Pinky Girl. Everything hearts and pink just make us giddy. If you are in the mood to bake, be sure to try our Valentine’s Rice Krispie Treat Hearts or our Heart Chocolate Chip Cookies. 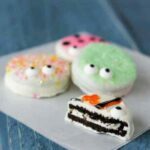 These are both really easy to make and fun to do with the kids. See ALL of our great Valentine’s Day posts here! To start out I used my Silhouette cutting machine to cut out an X and an O. Each of my letters measured 2.25 inches tall. Next tip the jar upside down and paint the whole thing. You can use chalk paint or spray paint. I also spray painted the lid ring red. After you finish painting remove the vinyl or stickers. I wanted this jar to look a little bit worn so I took some 400 grit sand paper and roughed up the edges a little bit. After all of the paint was dry I filled the jar with some sweet treats and embellished it. I made these Free Printable Tags to help them look super cute! Print and cut out the tags. Use a puncher to make a hole in the tag and thread the bakers twine or ribbon through it. Cut enough fabric to cover the top of the jar. Tie the ribbon with the tag round the jar lid. What a sweet way to show love! 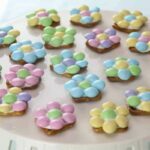 These are great for teachers, friends, neighbors and of course your sweet heart! Very cute, and great tutorial! I love decorated mason jars! Healthy Oatmeal Cookies…. the chewy kind!